Could you please explain the relationships I see on this sdsi website... SDSEFI seems like its own product, but then they refer you to EFII (flyefi.com) which looks really similar but I thought was its own product, and then also you have this CPI stuff on the sdsi website, and again it seems similar. Personally I am interested in the EFII ignition only, but I can't differentiate between SDS, EFII, CPI, it all seems like the same company, or maybe not. 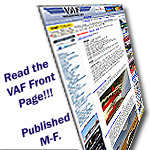 Search FADEC?, post #19, explains all this. Basically we are the manufacturer of all the electronics. EFII is a customer of ours who buys the ECUs and some other bits from us. We have our own line parts/ kits for Lycoming, Rotax, Jabiru, Conti etc. The CPI is our own stand alone EI. The EM-5 is the EFI with EI combined. if you are looking at EI only, take a good hard look at the CPI line before you pull the trigger. CPI is a fantastic product and just keeps getting better. found your post 19, I guess that sums it up, thanks. cpi looks interesting toolbuilder. I was following your thread, and saw your plane at Inyokern. I don't want to play around much with the curves much. Cpi and efii both look like good solutions. Dont let the fact that the CPI is completely adjustable drive you to think you have to dream up your own curve. The info Ross has in the CPI instructions is quite adequate, and there are enough of us running these things now that you can just copy a curve and be pretty close. I've emailed my curve out to a few people, in fact. We enter a conservative base timing curve taking into account the fuel used (Mogas or 100LL) and engine compression ratio. The advance switch on the CPI or EM-5 allows you to add a programmable amount of timing advance for LOP or high altitude operation or can be used as an octane selector if you run both Mogas and 100LL. Here's what the CPI advance switch window looks like above. Program the amount you want and when you flick the miniature toggle switch on the panel, this would instantly add an additional 7 degrees at all rpm/ MAP ranges. As Mike's flight testing showed, this feature can add several knots when running LOP. Last edited by rv6ejguy : 07-12-2016 at 07:57 PM. Just an update on progress on new SDS EFI features for 6 cylinder engines: Software is complete and we're finishing bench testing on the individual cylinder fuel trim option this week and will be continuing with engine testing after that before going on to further engine testing later in August. This will be a twin ECU board offering, with backup and a new relay switching box to go with the system. We believe that this option will be available sometime in September if all goes smoothly. Along the same timetable, we'll be finishing the CNC'd production top case mount fuel blocks for Lycomings. This last piece will complete the basic EFI/ EI mechanical kit parts for PV and AV Lycoming 540 engines with 80mm billet throttle body, top injector mounts, 3 choices of coil pack mounts, mag covers, fuel pump cover, 2 choices of fuel blocks, dual fuel pump module, dual board ECU, single or dual Hall sensor body with mount, short and long reach plug adapters and air and CHT sensor mounts. Advance/ LOP switches are standard on all aviation EM-5 systems as are Tefzel harnesses, custom made to your length specs (pins and connectors installed or left off for easier firewall passage if you wish). 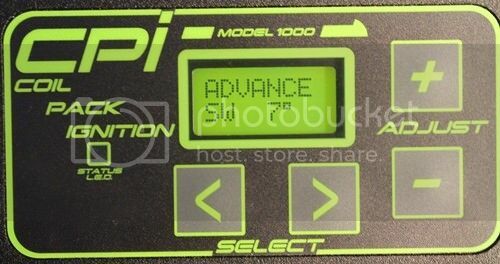 Along with the fuel trim option, we have an optional integral fuel flow output, eliminating Red Cubes, dual ECUs can have a optional single programmer which accesses both ECUs and easily toggles between them and finally, optional PC data logging from the primary ECU for tuning and troubleshooting assistance. We have one final software/hardware feature which is under development which hopefully can be retrofitted to all EM-5 ECUs. Can't talk much about that one at the moment until further test results are in. Last edited by rv6ejguy : 08-01-2016 at 05:39 PM. Very exciting, looking forward to the " zero gami spread " that this system will deliver. The economy improvement that Dave Saylor ( on his 4 cylinder ) is reporting is very encouraging. We we running up Bill Beaton's mighty supercharged Rocket today with the SDS EFI and CPI. What a beast! Hopefully I can post some photos and vid links soon with Bill's permission. Looking out my office window here, I see Bill is up in his Rocket overhead, breaking in his new engine. Has a distinct sound with the supercharger on there. Sounds good!